Daniel Suárez is a commercial cattle rancher (beef and dairy) and grazing educator from Chiapas, Mexico, who specializes in Voisin-style Rational Grazing. Daniel has kindly agreed to an interview with me to share how he manages his own grazing herd using this powerful pasture management strategy. Rational Grazing was pioneered by André Voisin, who is considered one of the founding fathers of all modern rotational grazing systems. André created a set of grazing rules that are universally applicable to all soil types and climates. He called it rational grazing (not rotational grazing), based on rationing out the pastures via grazing slices. Holistic management (developed by Allan Savory), modern permaculture, and most other rotational grazing strategies used by cattle farmers today are based on André Voisin's pioneering work. I'm extremely excited about this interview. 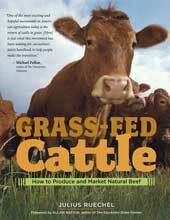 It is a fantastic introduction to Voisin-style Rational Grazing. And Daniel is a true pasture detective, whose keen observations and practical experience make it really easy to apply his lessons to your own ranch, even if your climate is completely different from his. 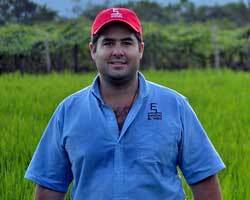 Daniel, please tell us a bit about your farm and how you got involved with rational grazing? 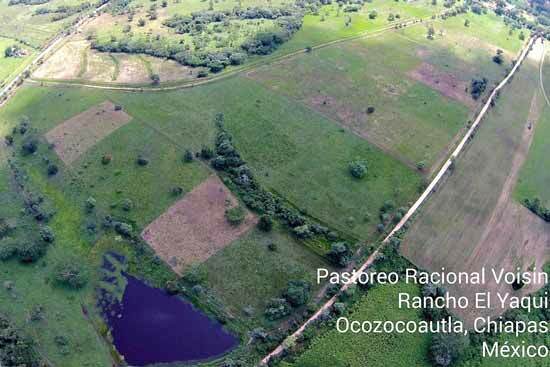 Our family farm, Rancho El Yaqui, is in southern Mexico, which has a tropical dry climate. It is very hot all year round, with a distinct rainy season followed by a long dry season. Our farm was started by my father in the 1970's. In the 1980's we started raising Brown Swiss cattle for beef and milk, which we have gradually crossed with Zebu breeds using both bulls and artificial insemination to create the herd we have today. For many years our business relied on selling registered purebred breeding stock as well as selling weanling calves. I took over the farm management in 2003. Prior to this date we had used extensive grazing management with our cattle herd (large land areas with very infrequent pasture moves). During the dry season (December to May) we supplemented the cattle on pasture with grains and other industrial by-products from our region. I started testing various agricultural technologies, like silage, total mixed rations, artificial calf rearing (early weaning and bucket feeding), etc. I didn't notice that with each new system or technology we tried, we were depending more and more on external farms inputs. But in 2010 the dry season left us in serious trouble, with insufficient grazing and no money in our pockets. We had to sell approximately 40% of the beef herd and 100% of our sheep (at reduced prices - emergency sale) in order to prevent them from starving to death. That was when my siblings and I realized that our operating system was impossible to sustain. As a result, we gave ourselves the task of finding a more efficient low-cost cattle production system. 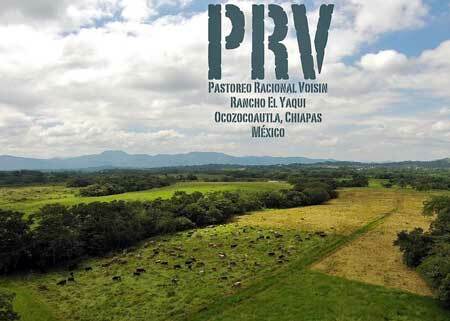 That's how we found André Voisin's Rational Grazing system (it's called Pastoreo Racional Voisin or PRV in Spanish). At first it sounded like an idyllic fantasy, but we gave it the benefit of the doubt and decided to study it further. I took an online course from Michael Rua and bought a book published by Luiz Carlos Pinheiro, one of the most well-known experts in Rational Grazing. And that's how I started to become involved in the fascinating world of sustainable cattle farming. Please give us a brief overview of Voisin's Rational Grazing strategy. Rational grazing has been described as "the most advanced and efficient pasture management system, which harmonizes plant physiology principles with the nutritional needs of animals (both feed quality and quantity), while improving soils through ecological processes." In order for grass to achieve its maximum productivity, grass must be given time to recover between grazing intervals. And this rest interval must give grass enough time to produce a "blaze of fast growth" before it is re-grazed. The time spent inside any individual grazing slice should be so short that the animals do not regraze the same grass a second time before they move to the next paddock. We must help the cattle with the highest nutritional requirements to harvest the most quantity of the best quality grass possible. If a cow is expected to produce milk and/or consistent weight gains, she should not spend more than 3 days grazing the same paddock. Milk production and weight gains will be maximized if cattle spend no more than one day in each paddock. Starting in the 1960's, in Brazil, Luiz Carlos Pinheiro put together the components of a grazing management system based on Voisin's laws. This grazing system has evolved into what is known today as Rational Grazing, Voisin's Rational Grazing, or Voisin-style Rational Grazing. What are the differences between Voisin's Rational Grazing and other rotational grazing strategies? First of all, I have to mention that I have not used all other pasture management strategies, though I have studied them a bit in order to be able to understand the fundamentals of Rational Grazing. Most traditional (non-rotational) pasture management strategies use long rest periods for the grass, without worrying about which pasture will provide the ideal next slice of grazing or what the optimal rest period is for each individual pasture. Only the intensive grazing strategies attempt to mimic natural migrational grazing ecosystems. They are designed to influence animal impact on the land to produce non-selective grazing (in which animals graze all grass species uniformly instead of leaving a highly variable stubble based on which plants they like best). The main difference between Voisin-style Rational Grazing and other rotational grazing strategies is that Rational Grazing does not follow a sequential pasture rotation from one adjacent pasture slice to the next. Rational Grazing is based on monitoring the "Optimal Rest Period" for each paddock. Each day's grazing paddock is chosen based on which is the best pasture to graze based on the needs of the grass and the cattle. To do this, you require slightly more expensive grazing infrastructure with permanent fence divisions, but this allows you to make the most efficient use of the grass produced by the ranch, which helps improve the soils and produces impressive pasture yields. In the photo below you can see the chessboard effect that is created by jumping to whichever is the best pasture for each day's grazing, which creates a random grid of distinct green and brown tones. The checkerboard pasture effect created by non-sequential grazing when cattle are moved based on pasture quality. Pasture quality is calculated based on the principle of the "Optimal Rest Period." What is the concept of the "Optimal Rest Period?" How do you calculate it? First it is necessary to understand the factors that affect plant growth and development: soil humidity, air humidity, solar radiation, hours of sunlight, soil temperature, air temperature, the fertility and texture of the soil, and the range of plant species. You also need to decide how you would like to harvest the forage (via grazing or via hay or silage) and how tall of a stubble you want to leave behind. All these factors are variable and they all change the kinds of nutrients that are available from each paddock. When managing your grazing herd, you choose which pasture to graze based on each paddock's needs, the animal's changing nutritional needs, and the day-to-day changes in weather. One day may be rainy and cloudy, the next may be sunny. The soil in one pasture may be more exposed while another pasture has more trees and shade. Some paddocks are on low-ground so they are more humid and have more and better quality grass than drier paddocks on higher ground. In Rational Grazing, we seek to understand all these variables for each permanent pasture division. Each paddock recovers from grazing at its own distinct rhythm. We determine each paddock's "Optimal Rest Period" so we can maximize the "harvests" from each paddock. In order to do this, it is necessary to have a lot of paddocks, preferably with permanent boundaries, so that we can respect the amount of time that each pasture needs in order to produce the maximum quantity and quality of forage between harvests. The Optimal Rest Period is the moment at which the energy reserves in the roots are highest after the plant goes through its big growth surge. Following the growth surge, the plant begins to prepare for seed formation. This triggers a hardening of the stem by depositing lignin in the cell walls. Lignin is the material that gives mature grass its hard woody texture. This hardening of the stem begins in the lower half of the plant, from the center of the stem down to the base where the new leaves are formed, and then gradually extends up towards the top of the plant. This hardening is necessary in order to support the weight of the future seed head and ensure that the seed head is ideally located for easy pollination. The more mature the plant gets, the more lignin is deposited in the cells and the more woody the plant gets. Unfortunately, lignin is not digestible by cattle, so we lose the ideal balance between protein and fiber contained in grass. The rumen, and indeed the whole cattle digestive system, depends on this balance between protein and fiber in order to function properly, so the increasing lignin makes the grass increasingly hard to digest. On the other hand, if we harvest the grass prior to it reaching its Optimal Rest Period, there is also an imbalance between protein and fiber - in this case too much protein and not enough fiber - which causes diarrhea and can even lead to a toxic buildup of nitrites and nitrates in the plant. 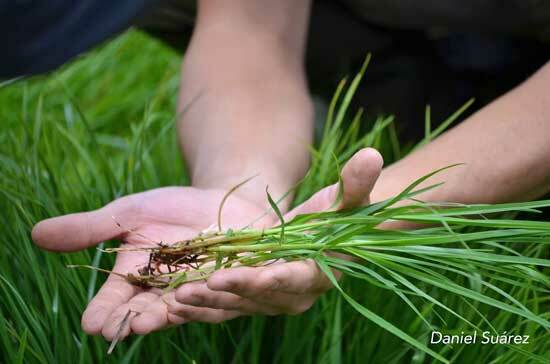 The other (and the main) problem with harvesting grass too early during the plant's development stage is that the roots still don't have sufficient energy reserves, so the regrowth after grazing will be less vigorous and productive. This leads to a gradual reduction in pasture yields over time and the pastures eventually have to be replanted. So to finish this segment and answer your question, "How do you calculate the Optimal Rest Period", it is not calculated, it is based on observation. It would be unmanageable to calculate the Optimal Rest Period for each paddock. However, by observing the plants closely, we can see the subtle signals that indicate the stage of maturity of the plants. 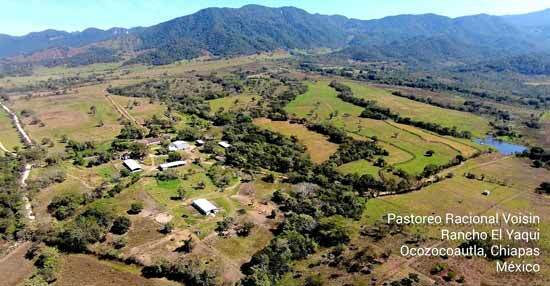 So it is necessary to know these stages and study them in order to define, day-by-day, which is the best paddock on the ranch. That's the paddock where we will take the cattle to graze on that day to give them the best possible grass available. Kikuyu grass (Pennisetum clandestinum) at the point of Optimal Rest. You can see that the process of lignification has begun at the base of the plant.